Norbert Wermes is Professor of Physics at the University of Bonn, Germany, and an expert in particle detectors and detector physics. After his studies he has been researcher at the accelerator centers DESY (Hamburg), SLAC (Stanford) and CERN (Geneva) before becoming a Professor at the University of Heidelberg in 1989. 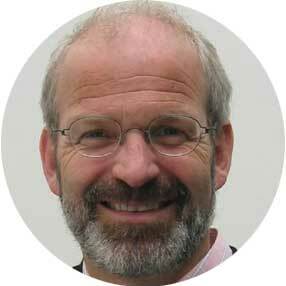 Since 1992 he is Full Professor and Director at the University of Bonn. His research focuses on the physics of elementary particles, especially Higgs physics and heavy quarks, and on detector development, especially semiconductor pixel detectors and ASIC readout electronics. He has published about 1400 papers inside and 200 papers outside international collaborations. He co-authors books on “Pixel Detectors – from Fundamentals to Applications” (2006) and on “Particle Detectors – Fundamentals and Applications” (in German 2016, in English 2018) and a recent review on “Modern Pixel Detectors” (Rep. Prog. Phys. 81 (2018) 066101). He has held functions in many national and European boards and prize committees and has been spokesperson of a Collaborative Research Training Center and an Excellence Graduate School in Physics and Astronomy.